NeXT was the name of a demo group that was active on Atari ST from 1989 to 1992. There is absolutely no relation with the name NeXT corresponding to the computer created by Steve Jobs. NeXT created a large number of productions: some demo screens were guest entries in other groups demos, the well known 'Charts' were released in the Floppy Disc Magazine Maggie, and some productions were real independent demos. The Charts. The whole concept of The Charts was an idea of Zae who wanted the group to become well-known very fast. His idea was simple: The English group The Lost Boys was in the process of creating the first issue of what will become one of the most successful disk magazines on Atari: Maggie. Considering that The Lost Boys were one of the most talented active groups, it was probably a good idea to "jump the bandwagon", and participate in the creation of this disk magazine; doing the charts was a simple way to achieve this goal. 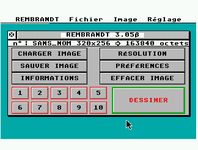 Six charts were produced in total, but they can hardly be linked to individual issues of Maggie: Production delays were extremely fluctuant on NeXT side, due first to the fact that the group was spread all around France, exchanging data using floppies sent my mail, and second because NeXT had to communicate with The Lost Boys over the channel also using postal mail. 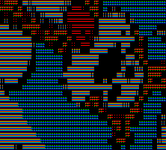 In 1991 a demo called The Official 1990 Charts Compilation was released, containing an entirely repackaged version of all Charts demo screens and additional material, including a teaser screen of the Phaleon Giga Demo. The Phaleon Giga Demo was probably one of the demos with the longest development process in the Atari ST demo history. It was originally started by The Replicants in 1989, and was supposed to include many demoscreens by their friends of The Union. Unfortunately for various reasons they failed to finish it, and decided to abandon the project in 1990. NeXT decided to give a try, and collected all the assets that had been produced so far. This included logos, demo screens, and a half finished main menu. Considering the state of the project, it was decided to keep only the name, some graphics, and the finished demo screens: Everything else was written from scratch. After two additional years of work, and despite the drawbacks (some groups decided not to wait and released their intros earlier) the demo was finally finished and released, even managing to get some attention from the media. Even though the quality of the whole demo suffered from the fact, that some of its content was nearly three years old, the Phaleon Giga Demo managed to remain in the collections of classic Atari ST demos, because it managed to somewhat push the envelope. 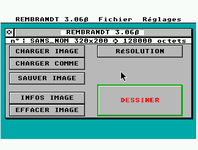 It was the first demo on the Atari ST to require four floppy discs (hence the Giga in the name instead of more common Mega, which was used to distinguish the two floppy disc demos from single disc ones). 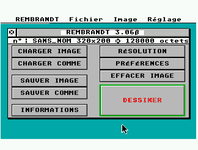 It contained four different selection menus (an Amiga-like trackloader, a simple list selector, a Dungeon Master-clone and a Shadow of the Beast-clone). 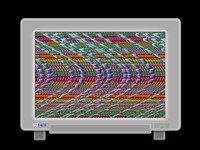 It was one of the first demos that tried to exploit the Atari STE, (all palettes are compatible with the enhanced color palette, all soundtracks are enhanced on the STE), including the Illusion STE screen (still considered today as a landmark in the STE intro history). Even if the group does not exist anymore these days, sometimes some old relics are unearthed.